Paul Bruce Meyer, son of the late Adeline Porter Meyer and Dr. Harry A. Meyer, Jr., graduated from Geary, Oklahoma High School, where he was president of his junior class, a delegate to Oklahoma Boys State, Editor of the yearbook and Valedictorian of his graduating class. 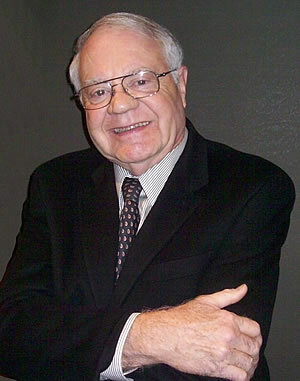 Meyer graduated from the University of Oklahoma Engineering College with a degree in Architecture and was named to Tau Beta Pi and Sigma Tau, engineering scholastic societies. He was rush chairman and president of his social fraternity, Alpha Sigma Phi. Paul was in the Air Force Reserve and served on active duty during the Berlin Crisis. Jeanne Marie Cowden and Paul were married in 1961 and have three grown children: Greg, David and Alice Brining, and five grandchildren. Paul and Jeanne are active members of Christ the King Church, where they are communion ministers and Paul is a member of the Liturgy Board. They are also members of the Equestrian Order of the Holy Sepulture, an international Catholic organization dedicated to the preservation of the Christian presence in the Holy Land. Paul Meyer is a Principal Architect and managing member of Meyer Architecture Plus, L.L.C. Since founding the firm in 1968, he has designed hundreds of projects including many education, government and religion buildings. Paul was the Architect/Curator of the Oklahoma State Capitol for twenty-five years, overseeing many historic restoration projects in the Capitol. His work has won many design awards, including the Architectural Award of Excellence from the American Institute of Steel Construction, an Honor Award from the Oklahoma Chapter of the American Institute of Architects for the Legislative Conference Rooms in the Oklahoma Capitol, the Governor Arts Award, the Charles H. Colcord Award for his body of Restoration Work, the Oklahoma Historical Preservation and Landmark Commission award for the rebuilding of St. Joseph Old Cathedral Parish after the Murrah Federal Building bombing and a Special Award from the Central Oklahoma Chapter of the American Institute of Architects for his body of work restoring the Oklahoma Capitol. He is a member of the American Institute of Architects, the National Council of Architectural Registration Boards, the Oklahoma Centennial Commission, Capitol Preservation Commission, Oklahoma City Downtown Rotary Club, former member of the Murrah Federal Building Memorial Archives Committee, twelve-year member of the Oklahoma City Board of Appeals for Building Codes and past President of the Oklahoma City Section of the American Institute of Architects. Paul is Chairman of the Friends of the Capitol, a non-profit 501c3 established to raise private funds to enhance the Oklahoma Capitol. Current projects Meyer is designing include Bishop McGuinness High School and Field House, Oklahoma City; St. John the Baptist Catholic Church and School, Edmond; Southwestern Oklahoma State University Student Union and Black Box Theater, Weatherford; The Lawton Conference Center, Lawton; and Collings Hall at the University of Oklahoma, Norman.